With a stay at Hotel Kinki, you'll be centrally located in Osaka, within a 10-minute drive of Osaka Science Museum and Umeda Sky Building. Featured amenities include complimentary wired Internet access, a computer station, and multilingual staff. 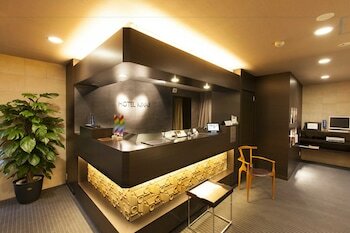 Located in Uenohara, Hotel Route-Inn Court Uenohara is a 3-minute drive from Uenohara Museum and 6 minutes from Iwatateo Shrine. Free self parking is available onsite.